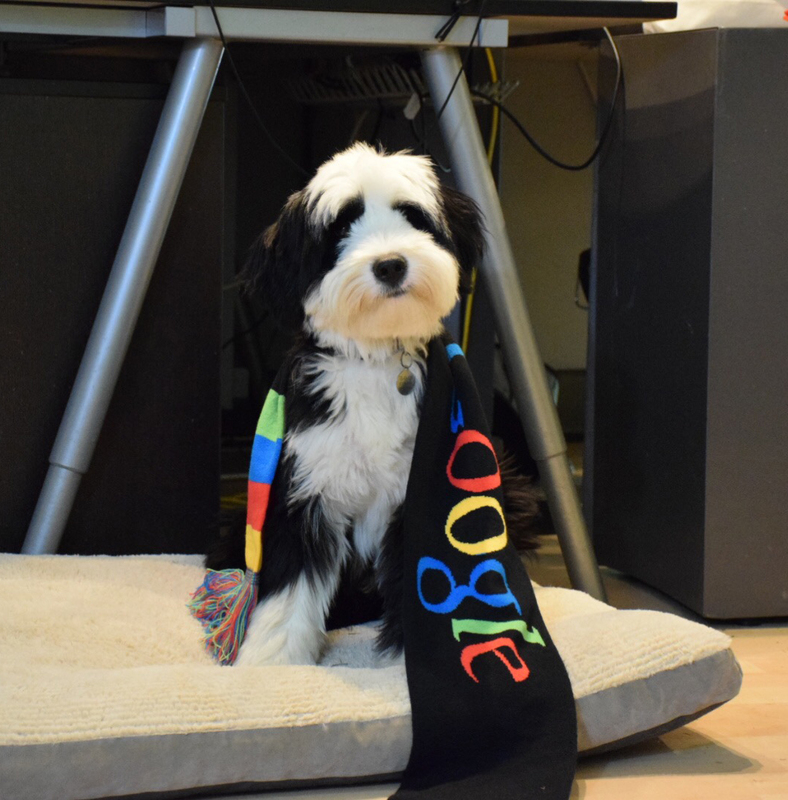 Pet lovers spent an estimated $69 billion on pet products this year. That's billion...with a "B". 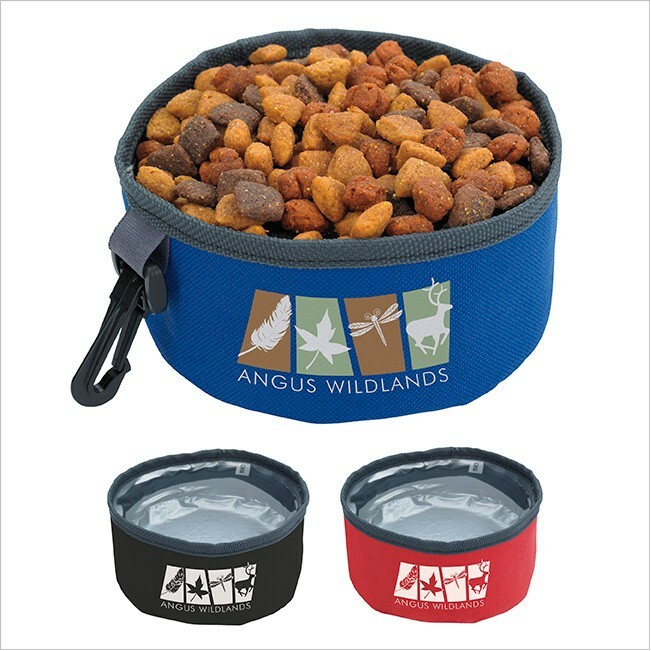 What better way to be remembered than with a custom printed portable water bowl for your prospects furry friend, one that will be used over and over! People take their dogs everywhere! It is not uncommon to see "Yappy Hours" at local bars, dog friendly stores in town squares, and hotels that welcome your pup with open doors. 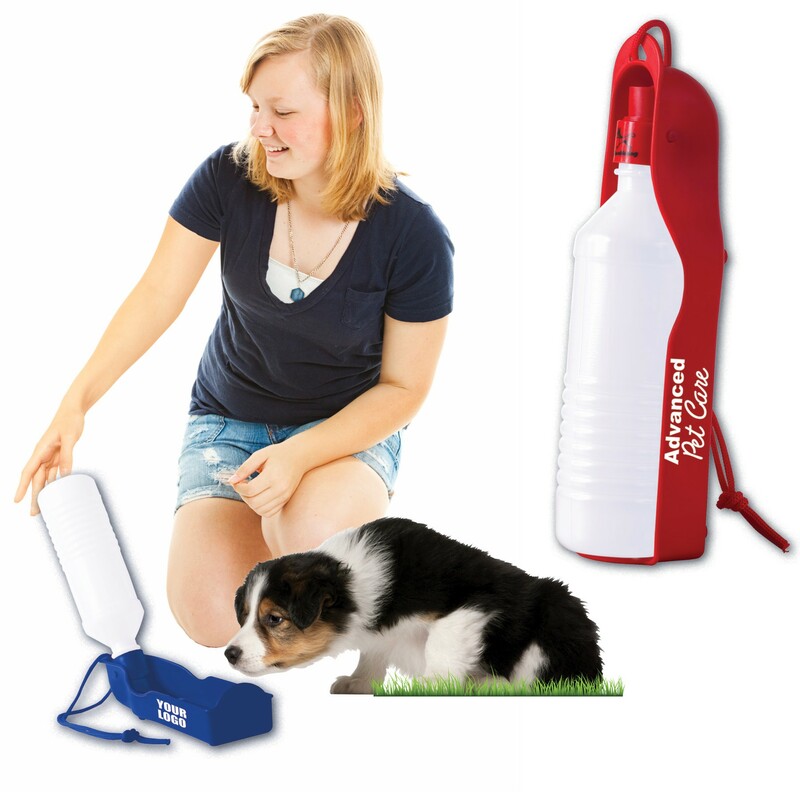 More than ever there is a need for on-the-go feeding and watering for your dog while traveling abroad or around town. 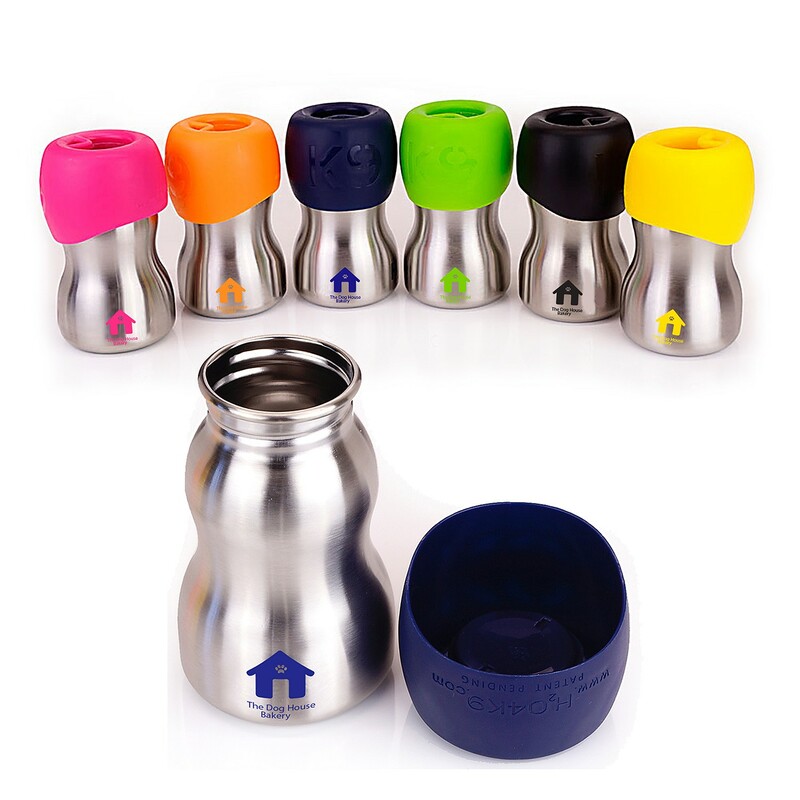 Who should order custom dog water bowls? 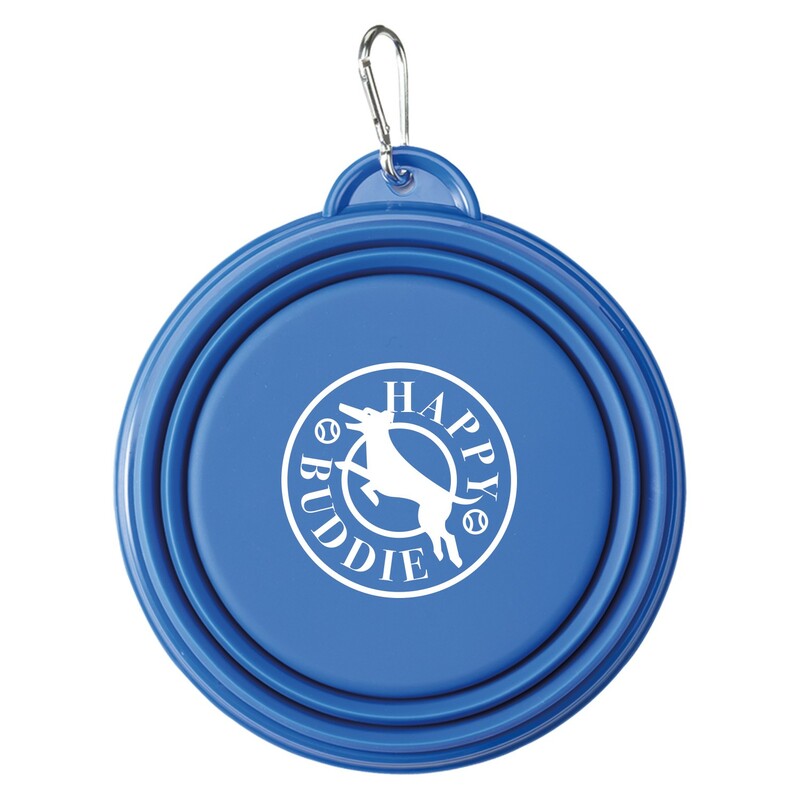 • Restaurants or bars hosting a "Yappy Hour"
What is the benefit of handing out branded, portable dog bowls? Brand awareness is the first step in getting a consumer to take action. 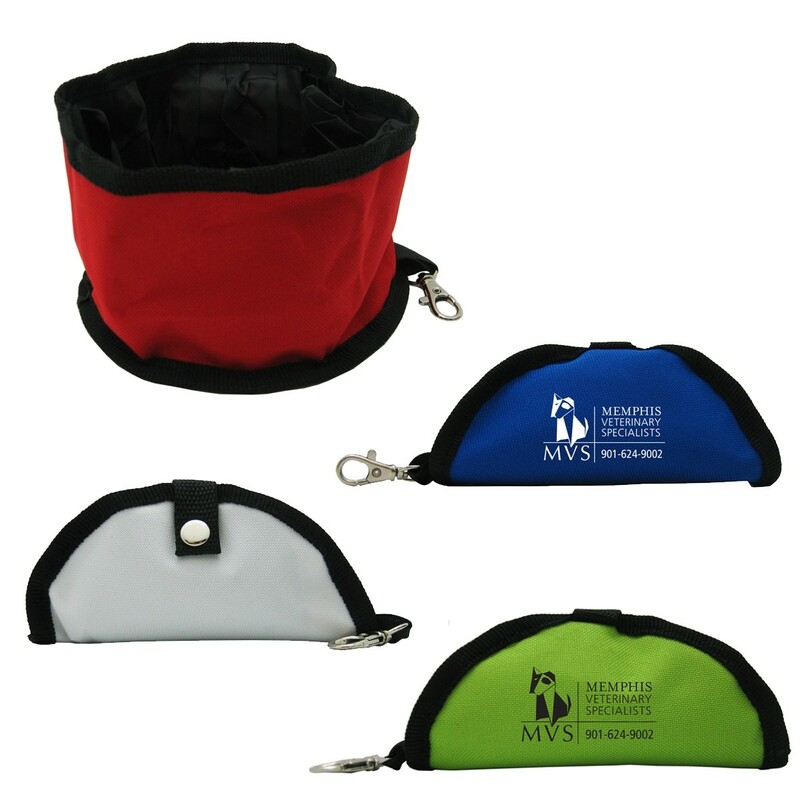 Giving pet owners a promotional item for the dog park or other dog-friendly spaces will ensure it gets seen by your target market; which is other dog-lovers! You will also score brownie points with the dog owner and they will remember your company next time they need your product or service. It's a win-win! There is really no set answer for this. 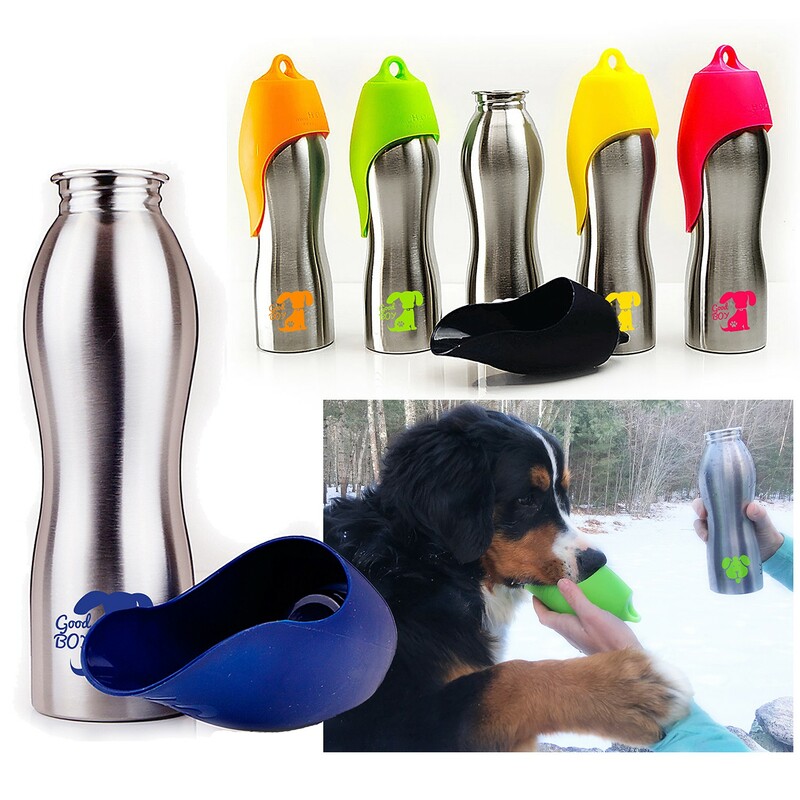 Each dog water bowl and bottle comes at a different price. Most of our bowls cost anywhere between $2.40 and $14.79 each. You then have to multiply the price by the quantity and add shipping costs.